As you likely already predicted, you’ll first need to qualify for professional liability insurance before you can get covered. You may feel like you’re jumping through one hoop after another, but you’ll quickly find that the effort is well worth it. In 2015, Canadian insurers wrote more than $51 billion in direct written premiums. At the same time, property claims as a percentage have climbed immensely higher over the last decade. In 2015, the number rested at 30.9%. Some Canadian companies such as IT consultation firms are considered to be a little risky. Therefore, Canadian insurance companies, such as Trisura and Premier Marine, will do everything possible to keep their own risks to a minimum. This is why you’ll need to qualify, before you can get professional liability insurance. 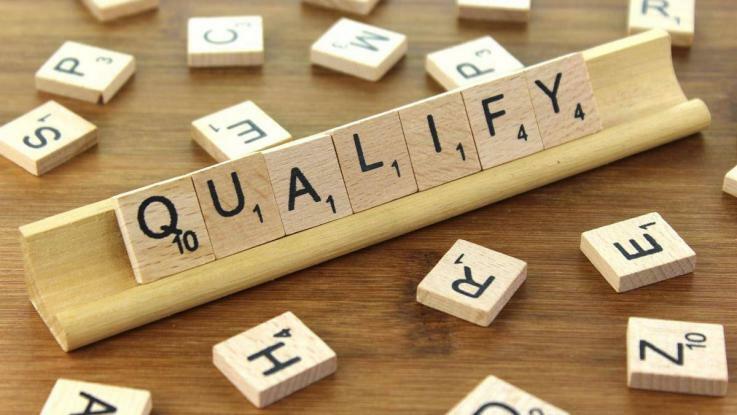 Below, you’ll learn about the qualifying process. In many situations, the insurance company will not sell insurance directly to the business owner. Instead, they’ll require the insurance company to work directly with an insurance broker. The good news is that there are thousands of excellent insurance brokers in the country of Canada. Intact is one of the largest insurance providers in Canada. This company claims to have a network of more than six-thousand brokers. And, these brokers are located throughout Canada. This is definitely a good thing for business owners. The insurance broker or agent will be responsible for negotiating on your behalf. They’ll be able to help you qualify and they’ll go to great lengths to ensure that you get the lowest premiums possible. If you run a business in Canada, you would be very wise to work with an insurance broker to get the professional liability insurance that is needed. When applying for professional liability insurance with ProfessionalsCoverage, Zurich, Intact or Aviva, you can pretty much guarantee that the insurance company wants to make money with the minimum risk. This is why you will be required to qualify for professional liability insurance. These companies will go to great lengths to ensure that they choose businesses and business owners that pose the smallest risk humanly possible. They’ll scour through your company’s history to determine how much of a risk you will pose. If you work in a riskier industry and have experienced claims in the past, there is a good chance that the insurance company will be hesitant to take you on as a client. Depending on the company in question, you may be disqualified. Others may offer you insurance, but you’ll probably be required to pay a higher premium. If you ask a Canadian insurance broker how to go about obtaining professional liability insurance, most of them will recommend starting with a free quote. There are several ways to obtain a free quote, including online at the insurers website, phone line or email. While most business owners will prefer the online method, others do not mind waiting a little longer to obtain their free quote. When applying for a quote online, you will need to access the insurer’s website, which can be found through a brief search inquiry. The free quote option should be located on the homepage, if it is not you should find a link that will lead directly to the quote form. Just click on the link and begin completing the form, which is fairly simplistic and understandable. Most quote forms are similar, as well as the process. So, you should be prepared to answer a few questions as accurately as possible. The first question will be related to the type of industry your business works in, which can include anything from auto and cleaning services to healthcare. Once you answer this question, you will be directed to enter the type of service you offer consumers. For instance, if you own a manufacturing company, your services will involve apparel, food, glass, jewelry, metal, wood and others. The next step of the process will entail inputting information about your business into the form. This is a very simple step, since you only need to provide the mailing code and the name of your business. The entire process should not take any longer than five minutes for a professional like a paralegal vs a medical clinic that will definitely require a more thorough underwriting questionnaire to be completed. It is important to note that quotes are never precise, so there will be a slight difference in it than the actual quote. The purpose of the quote is to provide business owners with an overall average cost, giving them something to base their budget on. As a business owner in Canada, you probably already know that contracts are hugely important when it comes to doing business safely and effectively, especially for a business like employment agency as their revenues solely rely on building new relationships. However, what you might not know is that your client contracts can also determine if you qualify for professional liability insurance. Anytime you get a quote or apply for professional liability insurance, the provider is going to ask to see your client’s contracts. These contracts not only define your obligations to the client, but they also limit your liability. Some additional questions the insurance provider might ask are how often do you use contracts, do you ever update these contracts, and what exactly do you use these client’s contracts for? When it comes to applying for professional liability insurance, most of the information that you will be required to provide will be pretty basic for mostly all professions that require indemnity insurance. However, it still might not be information that you might know right off hand, so it helps to go into the application process prepared. Of course, every provider is different and some might ask for different information. For the most part, providers are going to want to know the name of your business, the location of your business, the current number of employees that you have, when your business came under its current ownership, contact information, number of years that you have been in your current industry, a close estimation of your revenue for the upcoming year, and the amount of coverage that you want. It is absolutely pertinent to make sure that you have all of this information on hand, before deciding on the right time to purchase insurance. It will help to make the application process so much quicker and easier.